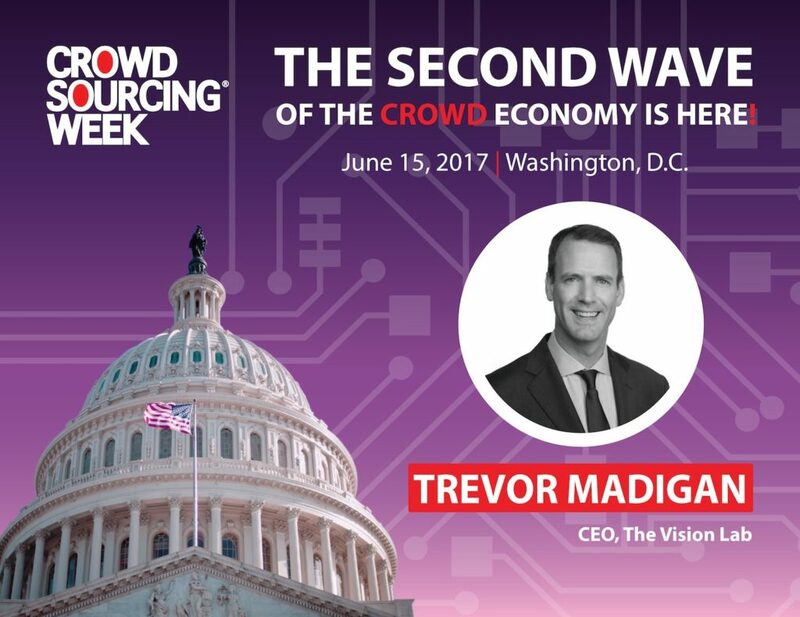 I had the pleasure of presenting at crowdsourcing week in DC today and wanted to share some of my tips for successful enterprise crowdsourcing and insights to help teams succeed in democratizing ideas within the enterprise. I have spent over a decade in New York working with great brands like Facebook & Nokia. I came to the realization that all organizations suffer the same challenges. Geographically spread teams working in siloed structures. Lots of hierarchy, poor communication, big egos and slow decision making are consistent. I felt there was a better way to quickly get everyone on the same page and working in the same direction. 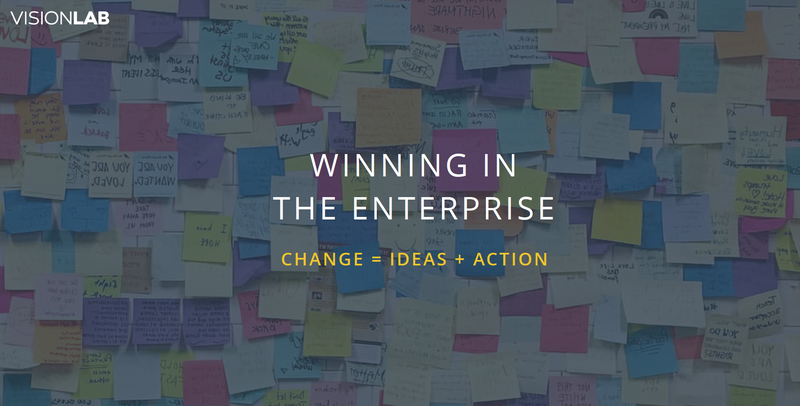 We set up The Vision Lab to help organizations transform by engaging their employees. 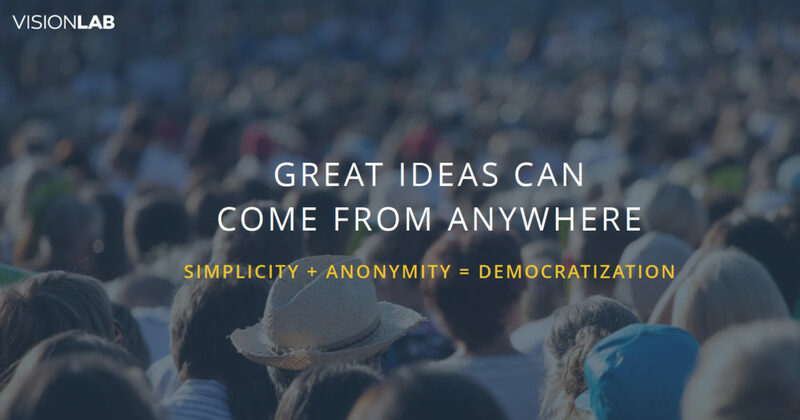 Our vision was to build a super simple method that crowdsources employees ideas at scale, and organize and prioritize these actions through anonymous employee voting and contributions. Exciting new techniques like natural language processing, machine learning, crowdsourcing and artificial intelligence are transforming our economy and are helping give deeper, faster insights to leadership teams. We have had the good fortune to work with global brands like HP, Samsung, PWC, Pernod Ricard, Pitney Bowes and Burson Marsteller and I would like to share some of our learnings to date. There is a dramatic change occurring in the organization. Firstly, younger employees are different by nature. They grew up on social media, they wish to share their opinions publicly and in a forthright manner. They expect their leaders to listen and fast action is the instant gratification their generation demands. 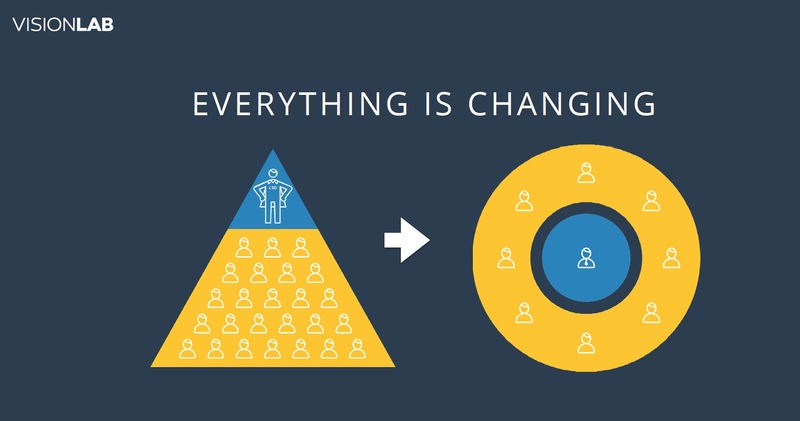 The Enterprise itself is changing also, flatter and less hierarchical orgs are the norm. The modern worker struggles with consultant-designed matrices where no one is in charge and collaboration is a prerequisite. Middle management is being disrupted also. Traditional parts of their roles can be done faster and better by technology. The ability to draw real-time insights from open-ended comments is changing how companies are managed and trends like holacracy are emerging. As a result, greater democratization of ideas is occurring. What’s clear is current methods are failing and only 13% of global employees are engaged. Employee engagement surveys are totally busted. Asking employees 100 questions in Q1 and then giving them the censored and edited results deemed suitable for sharing in Q3 is not going to cut it for the this generation of employees. This is where an opportunity presents itself. Leaders require new tools like crowdsourcing to make more informed and faster decisions. Engagement is the killer feature – capturing employees ideas in their own words and putting them into action in real time (read Josh Bersin at Deloitte’s research on this topic). The market is moving quickly and technology is responding. In our experience, there are several drivers to ensuring successful execution in the enterprise. Nobody has time for meetings. Employees are overwhelmed. People are really busy, leaders are busy. If you are engaging employees be understanding of this and build accordingly. Frequent lightweight actions are the key, think Facebook voting and sharing. Both employees and leaders desire to give and hear new ideas but the job is to enable this to occur without disruption. Most tech businesses seem to need only seconds be billion dollar business – click Uber and a cab arrives, click seemless and food is delivered. The main drivers are speed and simplicity. Employees and leaders are the same, they are totally overloaded by emails, calls, meetings. TVL removed login for our users and we increased participation 30%. Remove everything that is not essential to your objective. Honest participation is desired – To get people to really express their feelings – anonymity is critical. Traditional orgs like the government & military still have highly structured systems. It is very difficult for ideas to penetrate to leadership via your boss, especially when they are critical or challenge the status quo. Who is going to risk their job to give feedback? The result of these two factors – simplicity and anonymity is the democratization of ideas within the enterprise. Anonymity removes politics from the equation. Great ideas can come from anywhere, we have proven it. In our research winning ideas normally come from junior employees. Leaders tend to be risk averse and therefore less likely to deliver breakthrough innovation thinking. In a recent crowdsourcing project for a major global law firm, all the winning ideas were provided by females in a male dominated environment. Anonymity is the path to a meritocracy, the purity of good ideas is sanctioned in blind judgment, voted on merit, not by ‘who’ contributed it. With all that said, there is a formula to succeeding in getting big companies to use crowdsourcing techniques. Critically – change is the primary driver – In our experience this is the main factor both in the long and short term. The persona empowered is primarily a leader in transformation or organizational change driven by an immediate short term need such as a restructuring or acquisition. Alternatively an innovation or product leader with a longer term goal of redirecting product or business strategy is also challenged to change. Both personas need the employee base to be an active participant in change, engaging employees ensure they understand the factors and feel they have participated. Both personas are armed with budget and a mandate from the leadership team for this transition. If the employee don’t understand or support the change, the leadership faces a battle to implement their strategy. HR should be the primary driver to engage but they are not seeing the opportunity. HR teams tend to be cautious and risk averse and have not realized that actionable ideas are the currency for change. Participation and engagement levels are not the things to track, 95% of people are content – so what? Ideas that grow to become strategies to drive revenue and growth are the currency. When HR realizes technology can have a real time insight into culture, ideation and revenue growth in addition to its core functional roles it will have a much elevated seat at the leadership table. Ideas are relatively easy to crowdsource, we have worked with teams with thirty thousand ideas sitting in an excel somewhere. The prioritization of these ideas is the true benefit of crowdsourcing techniques in the enterprise. The CEO is asking for help to solve one important challenge. Less frequent questions on higher level topics delivers higher engagement. Employees will respond. This is where scale, speed and accuracy is delivered. The people who really understand the issues and live them everyday at the front line, can rapidly help prioritize action. The leader’s responsibility is to act, not responding will damage future engagement and trust. Communication is critical. 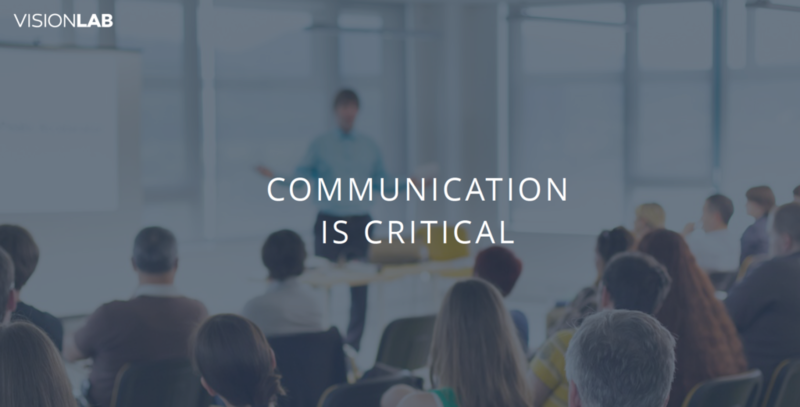 We have found the most important allies within companies to be internal communications teams. Ideas can take years to deliver a return on investment. Communicating progress good or bad throughout that journey is fundamental to this generation of workers. In conclusion – this is a process. There are rarely super big ideas which will change the enterprise overnight. It is more like a funnel, incremental steps bring you closer to innovation over time. Remember: great ideas can come from anywhere, just ask your employees.